The Verona Flute has a lovely twisting pattern wrapping itself around the base of the glass but still leaving plenty of room for your personalised engraving detail. 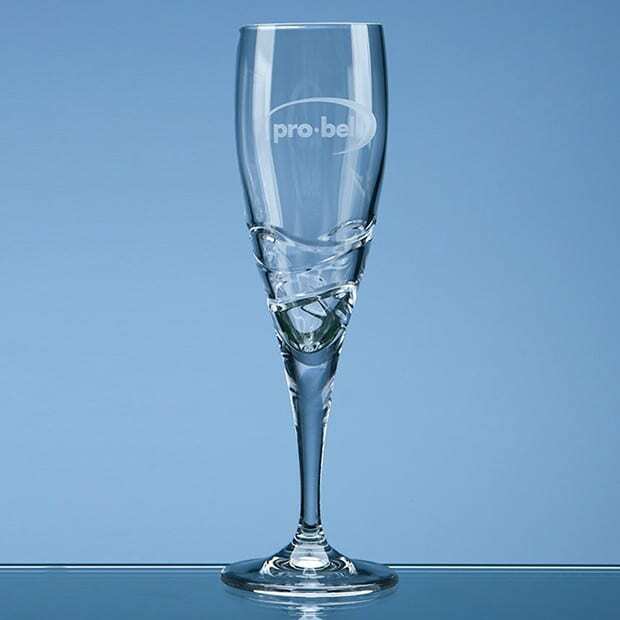 Each Champagne Flute is well made using Crystalite Glass and stand at 22cm in height, weigh 160g and hold 180ml of fluid. 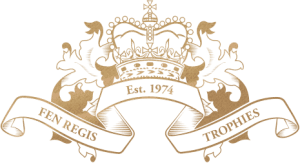 Our team of highly skilled glass engravers can engrave your choice of logo, image, crest or symbol onto the fluted glass along with some wording. 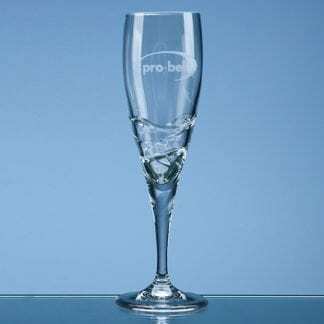 This glass is also available supplied in presentation boxes either in singles or pairs within our champagne flute range.